CCA has been developing an alternative economic model for its art centre in Glasgow for several years, promoting an open source use of much of the space. The question has been how to push that model further and that in turn has generated further questions around what exactly the purpose and role of an arts centre might be in the future. 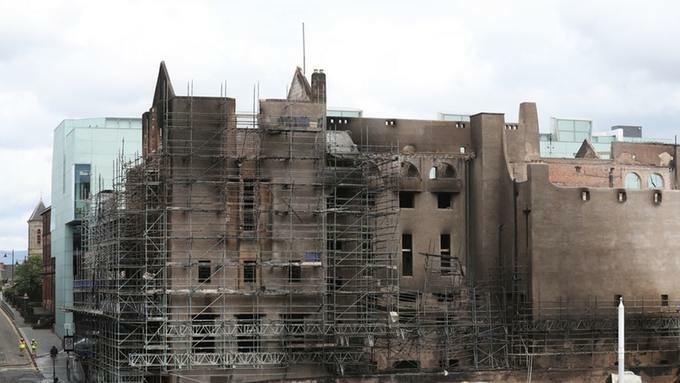 Recent events in Glasgow – the fire at Glasgow School of Art – has forced the closure of CCA for over four months with subsequent cancellation of almost all its programmes. Now, as it prepares to reopen, we are debating how useful it would be to return to our usual programme structures and whether there is an opportunity to reevaluate the relationships between artists, curators, the public and the organization. Is there a future beyond the formats of exhibition, talks and events, workshops, reading groups etc? The wider context of the hollowing out of the traditional street raises other questions about the location and use of any ‘centre’. Likewise the more long-term environmental transformations caused by climate change loom large as issues that remain relatively invisible and unaddressed in the art world and in individual art practices. How will such change impact on art or is the question too overwhelming to answer? Francis McKee (b. 1960) is an Irish writer and curator working in Glasgow. From 2005-2008 he was director of Glasgow International, and since 2006 he has been the director for Centre for Contemporary Arts, Glasgow, restructuring the organisation and the use of the building, as well as experimenting with the use of open source as both a management tool and a curatorial approach to sharing usage of the buildings resources. He is a lecturer and research fellow at the Glasgow School of Art. McKee’s research interests include the exploration of open source theory as a potential economic model within the arts, the role of the archive in contemporary art, and modes of curatorial practice. Recently, he has published two books: How to Know What’s Really Happening (Sternberg Press, 2016) and Even the Dead Rise Up (Book Works, 2017). This public talk is part of the Home Workspace Program 2018-19.